Human curiosity, and innovation, and society, or, if you like, science, and technology, and culture, each has its own independent ethos. But they continually affect each other. This interaction can be seen in the emergence and development of many kinds of technologies, each of which has followed its own particular course and has had its own particular outcomes. I will now discuss one particular case, electrical telecommunication, which transformed societies, by delivering information more quickly and more copiously. Before the existence of electrical telecommunication, information was sent by a range of technologies, such as shouting or other sounds, beacons, and the transport of written information by human runners, carrier pigeons, etc. Electrical telecommunication could not even have been thought about, until there was an awareness of the concept of electricity. It took a lot of human curiosity and innovation to bring this into being, and a lot more to make it really effective. We now think of electricity being either static, that is, not moving, or current, which is continuously moving. Static electricity is the condition when something has an electric charge, that is, when it contains either an excess of electrons or a shortage of electrons. This imbalance creates a force, measured in volts, that tries to restore the balance. Static electricity had been observed for thousands of years, in the form of lightning, and fish that could give electric shocks when touched, and amber (the same amber sometimes used in jewellery) which, when rubbed by some other materials would attract small objects, similar to the attraction of a magnet. These occurrences were not thought to be connected in any way. Then, in the 1600s (I will quote dates to give some impression of the slow build-up of ideas and innovation) it was discovered that not only amber, but many other substances, could produce the same attracting force when rubbed. But it required other people’s curiosity and inventiveness for this knowledge to be used in any way. These people built devices that store static electricity and other devices that produce high voltages. Some of these could produce sparks. But they were seen as just interesting scientific curiosities with no practical use. As for telecommunication, how could anyone use electricity to represent information? It was not until 1753 that someone suggested the use of static electricity for telecommunication. The suggestion was that an electric charge applied to one of 26 wires, one for each letter of the alphabet, could be used to cause a suspended pith ball at the distant end of that wire to move towards the wire by electrostatic attraction. 21 years later, in 1774, an electric telegraph, using 26 wires, was actually built – between two rooms of its inventor’s house. So some basic knowledge of electricity and its technology was now available, but lot more discovery and innovation was needed to make it useful. The first “working telegraph”, built in 1816, used one wire with a mechanical attachment at each end. It was tested in a 170 metre long trench and also on a 12km overhead line. The British Admiralty dismissed it as “totally unnecessary”. By then, Alessandro Volta had made the first artificial electric cell, what we now refer to as a battery, and he could produce sparks with it. Then it was discovered that that batteries could provide a continuous flow of electricity, and with that, the concept of an electric current was born. It was also well known that if a long thin straight magnet was allowed to move freely it would align itself in a north-south direction. The compass, an instrument based on this phenomenon, was used in navigation. In 1820 it was discovered that a nearby electric current would deflect the direction that a compass pointed to, so a current must produce magnetism. So using a coil of wire and a compass, the amount of deflection of the compass needle could measure the amount of electricity flowing through the wire. The instrument that does this is now called an ammeter. Using this meter, it was discovered that some metals carried electricity better than others, that thinner wires carried less current than thicker wires, and longer wires carried less than shorter wires. That was enough for the basic science of direct current electricity to be discovered. This led to further inventions in several countries, and prepared the ground for dramatic changes in society. In1828 Samuel Morse invented a device for manually sending electrical pulses along a wire, and morse code – different combinations of “dots and dashes” representing the letters of the alphabet. A dot was a short period of time between two pulses of electricity and a dash was a longer period. Morse also invented a device for recording the dots and dashes of the messages. These instruments were basically an on/off switch for sending, and an electromagnet that attracted a small piece of iron for receiving. He built a few private systems, and then the first commercial electrical telegraph system in 1837 in the USA. Thus began the first stage of telecommunications, which became widespread by the third quarter of the 19th century, ushering in a new range of technology and manufacturing, encouraging research into a new branch of science, and changing the way people communicated and did business. All these things led to the continual new developments in every kind of communication service, with spin-offs to other developing technologies. If electric telegraphy was to carry information over long distances it would need long wires. The longer a wire, the more resistance it offers against the flow of electricity. This puts a practical limit to how long a section of a telegraph line can be. But if the equipment at the receiving end of a section of a line were to send the dots and dashes to the next section, the information could be relayed for a further distance. This can be repeated many times. So this solved the problem of distance. Later on, the telephone service also faced a similar distance limit. But, while relays can reproduce dots and dashes, they can’t reproduce the sounds of speech. However, a few curiosities, new inventions and new discoveries produced a similar solution. The curiosities were glass tubes, sealed off as containers and filled with unusual gases or pumped out to create a vacuum. 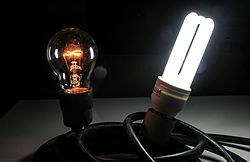 The first invention was the electric light bulb, which used a sealed glass tube. One discovery was that when a metal with a negative electric charge (too many electrons) was heated above 730oC it would quickly lose its charge, but if it was positively charged (not enough electrons) it would stay charged. The conclusion from this was that the surplus electrons were able to get away from the negatively charged piece of metal because the high temperature “loosened” them from their atoms and the negative charge repelled them. If the metal had a positive charge any loosened electrons would be attracted back in. Applying this to a modified electric light bulb led to the development of the thermionic valve, or vacuum tube, or radio valve. In its various forms, it amplified sound, so that telephone lines could be relayed similarly to telegraph lines, it turned alternating electric current into direct current, extracted the sound carried by radio waves, produced oscillating waves of a wide range of frequencies, and provided the intelligence of the first electronic computers. It transformed life in the early twentieth century. The telegraph was the first official kind of electrical telecommunication service. Its main, but not initial, component was the sending of telegrams. In this service, customers wrote messages which were given to a telegraphist in a Post Office. (Postal services had been established a long time before this.) The telegraphist sent the messages using morse code. The messages were short and succinct because the customer paid according to the number of words. The message arrived at the post office appropriate to the location of the addressee. A telegraphist at that post office translated the morse code into words as it was being received and wrote or typed it onto a special form, which was then delivered to the premises of the addressee by a messenger, who, in the 20th century, was often a boy on a bicycle. In the 1930’s automated machines called teleprinters and teletypes were developed to send telegraphic messages. The operators of these machines typed the messages using a typewriter style keyboard, and equivalent machines at the destinations automatically printed the messages. In Australia, the use of morse code for telegraphy was phased out in 1963. Australian telegram usage peaked in 1945 and then declined as more and more people got telephones in their homes. Phones were much more convenient, were immediate two-way connections, and cost a lot less per word. But telegrams did give you a record of the message on paper. In all of the countries where the telegram service operated it provided businesses and government with a more efficient and effective way of operating. In Australia, all communications with England had been by mail carried on ships until the early 1870s, when the first telegraph connection was made, by wire on poles across the land masses and by cables laid on the seabed across the oceans. The service provided a new kind of employment. In my early days of employment in the Postmaster General’s Department, the late 1940s and early 50s, the Department had more than half of the total number of federal government employees – but it also included the postal services staff. A kind of service was developed in the 1930s using teletype and teleprinter machines located in business premises. In Australia the PMG invented an automatic telegraph exchange system that was introduced in 1959, allowing these businesses to make automatic teleprinter calls to each other. This Telex service, along with competition from the telephones, reduced the use of the telegram service. The change of technology from morse code to teleprinters replaced the telegraphists with typists, a transition from one finger operation to ten fingers, and the end of reliance on being able to hear the dots and dashes. The significance to society of the introduction of electrical telecommunication, starting with the telegraph, is comparable with that of the later introduction of computers. It changed many aspects of the lives of people, businesses and governments. Before the electric telephone there were speaking tubes, which had funnels at each end, and you spoke into the funnel or listened from it. They were used well into the 20th century on ships and buildings. An alternative was a tight string with a device at each end that had a flat surface. When spoken into, the flat surface vibrated and the vibrations were transferred to the string. The vibrating string made the flat surface at the remote end vibrate, and this reproduced the sound. When I was a boy we used to make them, using two jam tins (and jam came in tins then) and string. This was, of course, essentially line-of-sight transmission, whether used commercially or by children. Such acoustic systems were superseded when electric telephones were invented in the 19th century. The electric telephone could carry the sounds much further than any acoustic system and with less distortion of the speech. But it still relied on the earlier principle of converting sound vibrations into mechanical vibrations. The ability of this telephone system to transmit information so much faster, and its immediate connection to the person at the destination, and its ability to provide a discussion, all made it attractive to business users and the general public. As with the telegraph service, the telephone service was quickly adopted in many counties. While we take for granted the idea of every telephone connection being identified by an exclusive number, this was an innovation. The process of making the connections between the callers and the called parties was originally performed by human operators in a telephone exchange. It was not long before the caller had to say the number, not the name, of the service they wanted to call. The telephone operator would then make the connection. The automatic telephone system was invented by an undertaker in the USA who suspected that the telephone operators were diverting calls intended for him to his competitors. This started a new industry and was the first of a long series of developments. When public telephones and services in residential premises were introduced, the usefulness and popularity increased. But even in the 1950s, in Australia at least, only a small proportion of residences had telephones. Later on it was taken for granted that every house would want at least one service. Now, in the age of mobile phones, fewer households have landlines, sometimes using them for computing only. The not-so-small businesses soon found that they needed more than one telephone line, and also they needed phones in different parts of their premises. So they had mini-exchanges installed in their premises, where phone conversations could be made within the building (free of charge), and the many employees could each make calls into the public network, sharing the fewer connections to the public exchange. All of these phone services have stayed much the same, but progressive changes in technology have made them more efficient, improved the quality of sound, extended the feasible distance of audible connection and provided more service options. And the service gave rise to a new kind of publication, the telephone directory, which provided not only people’s telephone numbers, but also their addresses. The address was necessary to ensure you called the right Pat Smith in the right suburb. But the directories raised the issue of privacy. You could pay to not have your telephone number and address in the directory. When developments in radio technology made it possible, a mobile telephone system was invented. The beginning of the science and technology of radio was similar to that of the beginnings of electric telegraphy and it occurred at about the same time. But, while electricity was already known, the idea of electromagnetic waves travelling through the air was quite unknown. As soon as it was discovered that an electric current caused a magnetic force around the wire carrying it, and that a wire moving in an area close to a magnet caused a voltage in the wire, it became apparent that electromagnetism might somehow provide a means of communication “through the air”. Unsuccessful attempts at such communication over short distances began in the 1830s. Eventually, there were four critical developments. In 1864 James Clerk Maxwell published a ground-breaking mathematical explanation of the process by which electromagnetic waves would propagate through space. This was purely theoretical, like Einstein’s theories of relativity. In 1878, it was noticed that electric sparks caused sounds to be heard in nearby telephone receivers. Around 1888 Heinrich Hertz experimentally validated Maxwell’s theory. He used a spark to generate electromagnetic waves that were picked up by a nearby antenna, which converted the radiated energy into electricity, which then caused an electric spark. In 1895 Guglielmo Marconi sent a radio signal over a short distance in Italy. In 1899, he sent the first radio signal across the English Channel. Many of the discoverers of all the new electrical phenomena were regarded as heretics, on the grounds that such things were not mentioned in the bible and did not conform with the official description of the world that God created. But unlike Galileo in the 17th century, they were allowed to continue their activities and publish the details, and were not persecuted. Marconi, with his radio signals, was the last of the pioneers of electric telecommunication to be condemned by the church. The various services became a part of everyday life, and society accepted that there were truths about the world that were not mentioned in the religious texts. In 1902 the morse code letter "S," – not just a single spark – was sent across the Atlantic Ocean. And so began long distance radio telecommunication. Radio communication has the advantage of being able to operate across water and between moving senders and receivers. So it has long been ideal for ships and peripatetic people, and everything in between. In the 1920s, thermionic valves enabled radio to carry voice and sound. Short distance point-to-point portable radio systems were developed for military use and later for private use, but they were not suited to being connected to the telephone network. By about 1980 new developments in radio antennas and transistors led to the invention of mobile automatic telephone systems that became a part of the public telephone network. The users’ phones were installed in motor vehicles, along with vehicle-mounted external antennas. The phones were too big to carry around on the person. Not long after, a hand-held mobile phone was developed. It was given the nickname, at least in Australia, of pocket brick. Continued refinements and several generations of evolution produced the smartphone, which can operate virtually wherever the fixed-line system exists and beyond, and also can have virtually all of the functions of a computer. The changes in the kinds of telephone services, and the changes in the technology, are still introducing social and business changes for the users of the service, and new kinds of employment with new kinds of skills for the people engaged in providing the services and also in the larger organisations using them. But each change also removes some kinds of jobs. The continued need for more and better telecommunication systems worldwide stimulated a lot of scientific research. The world’s largest telecommunication company, the ATT, was in the forefront of scientific research and in innovation of equipment. The digital era arose from its laboratory, the Bell Labs, which has also produced 14 Nobel laureates and several other distinguished scientists. Among their other work were aspects of information theory, which relates to both fundamental physics and telecommunication, and the invention of transistors, which superseded thermionic valves and made the digital age possible. The essential component of every computer in the world is a network of transistors, in the form of intricately structured little pieces of the element silicon. Most people carry transistors in their pocket or bag wherever they go, mainly in the form of smartphones. The computing abilities of smart mobile phones are one aspect of another kind of telecommunication service, data transmission. The data service, which is digital, is different from all the other services in one crucial way. The other services handled only their own kind of information from the input by one end-user to the output to the other end-user. The data system accepts whatever the sender has prepared for transmission and the recipient has the facility for accepting and interpreting it. So it is up to the data customers to decide what specific purpose is to be transmitted. However, whatever kind of information the customers send, they must make its format compatible with the data network. The first data services, in the 1960s, transmitted data over the telephone system at a speed of 600 bits per second, which is 12 times the speed of a teleprinter. Nowadays, after a succession of new generations of technology, the nbn is offering speeds of up to 100 million bits per second. The biggest development in telecommunications since the introduction of the automatic telephone system is the integration of computing and telecommunications. This means that there is now just one big computerised system handling every kind of service. They can all now be held in your hand, in a smartphone. All of these telecommunication services introduced a lot on new words relating to the equipment, and the processes, and the titles of the jobs of people. As changes occurred, some of the terms became obsolete. We don’t often talk nowadays about telegrams or telephonists, or thermionic valves. Many of the terms were used only by the people inside the trade. This is, of course, common to all specialisations: new words keep entering the vocabulary from all directions, and old words fade. Some decades ago Marshal McLuhan wrote a book “The Medium is the Massage”. Most people think that he wrote the medium is the message, but both concepts are relevant to the information media. The different media – text, pictures, voice conversation, video conversation, broadcast voice and broadcast video – all have their own kinds of influence, and all have associations with telecommunication. Also, all of these have subsets with corresponding differences of influence. Most are often used in combination with others – you can talk back or email or twitter to broadcast services. The text you send has specific characteristics. It can be carefully considered before sending, and, depending on which kind of text service it is sent on, it can be sent to one or to a great number of recipients in a single action. Depending on the medium of reception, the recipient can read it carefully or it may quickly disappear. And there is no eye or voice contact between sender and recipient. In all cases, all the information is in the connotations of the text – and a few emoticons and emojis that may or may not be reliable. The appearance, and often the mood and the intent of the sender, have to be assumed. Email, texting and tweets have different degrees of intimacy and range of recipients. Voice conversation adds clues of intonation, and fluency and hesitancy, but it gives no facial expression, and little time to consider what to say after the initial exchange. And if not recorded, its details will depend on memory. Video conversations such as with Skype are imperfect equivalents to face to face conversation with the freedom for either party to modify the scene or vacate it. Broadcast voice and video and text are mostly impersonal livelier versions of newspapers and magazines. Other media, such as Utube and Facebook are a combination of media formats. All of these telecommunication media have changed the convenience, the ways of doing business, the usage of time, the personal relationships, the language and the knowledge and opinions of almost everyone on Earth. Well, this very superficial and incomplete look at one particular technology illustrated the interplay of human curiosity, and ingenuity, and an entertainment-hungry, greedy, adventurous, competitive society, in producing new ways of thinking and new cultures that have become increasingly complex, well informed, and wealthy. Most of the changes were unexpected and all impacted on society. But each technology, being a part of culture, continuously interacts with all of the others. A notable fact was the slow pace of change in the early stages of electrical telecommunication and the increasingly faster changes in later years. This shows how new technologies change cultural mindsets. Another notable fact is that most of the earlier developments were based on materials and the physical sciences, but the most recent developments in telecommunication are based on digital information and mathematics. The materials are no longer visible but are hidden in “black boxes”. As the human population increases, in conjunction with an increasing level of education, science, wealth and technology, there will be an increasing amount of curiosity and discovery and innovation across many technologies. With telecommunication, a crucial factor in its recent development was its inevitable merging with computing, which followed its digitisation. Continued mergers have also been typical in the development of other technologies. What probably awaits us now is a lot more merging of technologies and consequent unexpected changes to society.